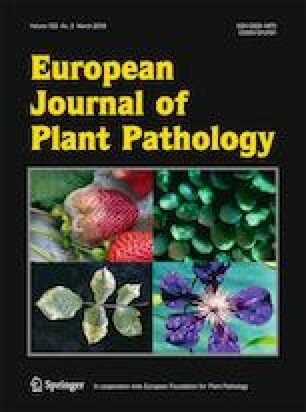 The vector-borne bacterial pathogen Xylella fastidiosa is widely distributed in the Americas; in the last decade it has emerged as a serious threat for agricultural crops, natural environment and landscape in Europe. Following the first EU outbreak in 2013 in southern Italy, associated with a severe disease in olive trees, annual mandatory surveys are now in place in the Member States, leading to the discovery of bacterial outbreaks in different countries. Among the latest findings, an outbreak has been reported in the Italian region of Tuscany, with infections identified in seven different plant species. In this work, we report the isolation and the genetic characterization of isolates associated with this newly discovered outbreak. Multilocus sequence typing approach revealed the occurrence of isolates harbouring a new sequence type, denoted ST87, genetically related to strains of subsp. multiplex, but different from the genotypes of this subspecies previously characterized in Europe. Five cultured strains were successfully recovered from four of the seven host plants, an important achievement for advancing the studies on genomics and pathogenicity of these isolates and thus assess their potential threat for European agriculture. The present work has received funding from the European Union’s Horizon 2020 research and innovation programme under Grant Agreement No. 727987 - XF-ACTORS “Xylella Fastidiosa Active Containment Through a multidisciplinary-Oriented Research Strategy”. The EU Funding Agency is not responsible for any use that may be made of the information it contains. We gratefully acknowledge Leonardo De La Fuente for providing DNA from Temecula-1 strain and Françoise Poliakoff for providing DNA from CFBP 8416 strain. We also wish to thank the curators of the PubMLST database and Dr. R. K. Yokomi for critically reading the manuscript. MS conceived the experiments and performed isolations; MS and DB revised the manuscript; GD prepared the manuscript and contributed to culture the strains; GA and SZ performed the diagnostic tests; RAK performed MLST-PCR and sequencing; GL performed the MLST analysis; DR provided the infected materials. The authors declare that ethical standards have been followed and that no human participants or animals were involved in this research. European Commission (2018). Commission database of host plants found to be susceptible to Xylella fastidiosa in the union territory. https://ec.europa.eu/food/ sites/food/files/ plant/docs/ph_biosec_legis _emergency_db-host-plants_update11.Pdf. Accessed 7 March 2019.